 We have been running the Cleveland Hike for over 50 years. We must admit, we are getting pretty good at it now! The hike is really simple. We will tell you where we start. You then use a map and a compass to find the next checkpoint and hike to it. You get points for getting there and more if your quick. At each checkpoint there is an 'incident' a type of challenge where you get to win more points for your team. At the end of day 1 (about 20 miles) you pitch your tent for the night. The next day it all starts again and follows the same format. About 10 miles later you will arrive at the end, its always Danby. You get a burger, a certificate and if you win, we throw in a prize too! ​Please download the full info pack below for full rules, kit lists and more info. The hike takes pride in looking after all of our teams. We work with Cleveland Mountain Rescue team who provide emergency support on the hike. The whole route and all incidents are risk assessed. Your in safe hands. We have a great safety record! 3 or 4 person team all between 13 - 19 on the date of the hike. ​Can enter 1 or 2 day event.